Cuyahoga County, Cleveland Public Power and IGS Solar recently completed the installation of one of the most innovative solar arrays installed in Ohio. The solar array consists of 35,520 panels and is constructed on approximately 17 acres of a 75-acre landfill site located in Brooklyn, Ohio. Working with Enerlogics and McDonald Hopkins as developers of the project, this array is designed to generate over 5,000,000 kWh of electricity per year. It is one of the largest landfill solar installations built in Ohio at 4 MW. The county can save as much as $3 million on utility bills over the next 25 years through the solar agreement. The array has been built on an otherwise unproductive landfill site, and the 20-year land lease will help the City of Brooklyn offset maintenance costs of approximately $400,000 over the course of the next 20 years. With strict rules enforced by the Ohio Environmental Protection Agency (EPA) for projects built on non-contaminated, closed and capped landfills, this project is the first of its kind in Ohio. The Ohio EPA does not allow for extensive, below-surface work on landfills. 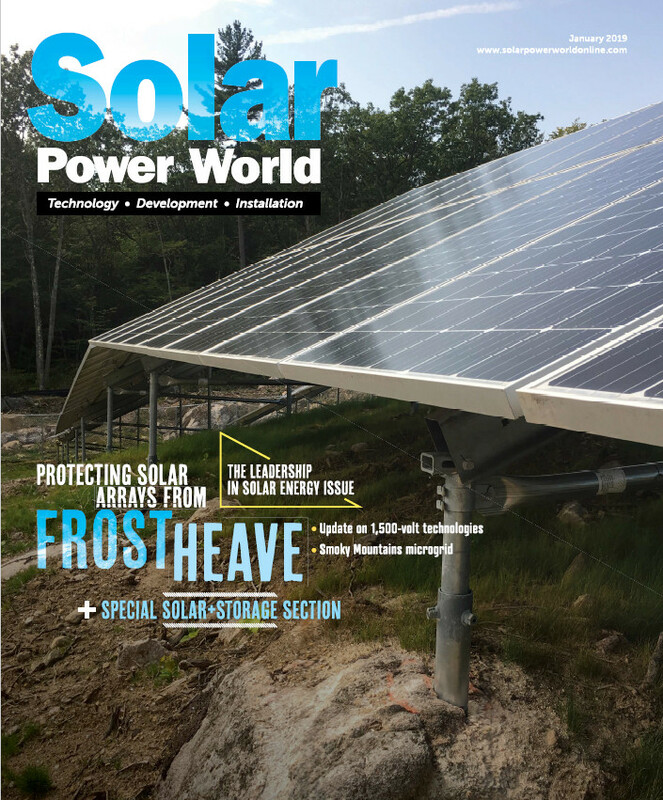 Thus, to maintain the integrity of the landfill cap, the developers utilized a ballasted solar racking system in which the panels and supports rest on concrete blocks, rather than driven steel posts. Nearly all the product and labor involved in the engineering, design, and installation has been performed by highly-skilled Ohio-based residents, which was a main priority for the county. The development and construction of the array sustained approximately 100 jobs in the region. The project has provided businesses relocating to the area with more energy options, as the City of Brooklyn is now able to offer competitive electric distribution in the city. This means that a customer can choose between connecting to Cleveland Public Power’s grid or First Energy’s grid. This offers more choice for businesses looking to build or invest in the area, and more choice is likely to mean lower costs. IGS Solar, a turn-key commercial and residential solar provider based in Columbus, Ohio, owns, operates, and maintains the array, which integrates solar energy into the County’s energy portfolio. It also helps them to better control the long-term energy costs for their county-owned buildings. Kelly Great project! Need more of them! I had one question, if there are 35,520 panels and its a 4MW system then the kW for each panel is only 0.11kW? That’s way less than most solar panels today which are 3 times that value! Tesla Energy panels are 0.31kW. Maybe these panels have a much smaller surface area than current house panels which are 20 sq ft each? I don’t know the exact details, but this project used First Solar modules, and the Series 4 model of that brand is small. Three of the Series 4 First Solar module make up one average sized panel by crystalline silicon manufacturers.